Twenty-nine years ago, Timothy Adams started his company, Systems Applications & Technologies, Inc. (SA-TECH), out of the trunk of his car. Today, SA-TECH is a progressive Department of Defense contractor offering administrative and technical support and has grown to more than 550 employees in 10 states, with revenues topping $74 million. The firm has consistently ranked as a Top 100 company by Black Enterprise magazine in the last six years. The secret to his success: never sacrificing quality of service to his customers. “I believe the success of my company comes from building relationships with my clients, exceeding their expectations, and placing trust in the men and women of SA-TECH to do the right thing,” said Adams. Adams believes that being the best version of yourself is what true leadership entails. This same mantra is exhibited by his employees, who always choose what is ethical, honest and trustworthy in all facets of business. Fifteen years ago, Adams sustained an injury which left him paralyzed from the waist down. He’s experienced medical and physical complications, yet does not let that bring him or anyone down. “We have never seen him bemoan his personal situation, even in times where he was in extended periods of pain and hospitalization. He defines resiliency,” said Bill Smith, chief business officer at SA-TECH. Adams serves or has served on numerous boards, including the Privatization and Procurement Council for the U.S. Chamber of Commerce, the Maryland Chamber of Commerce, the National Aquarium and Doctors’ Community Hospital. 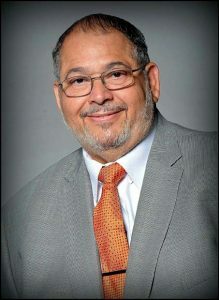 He also serves as a convention delegate for the Maryland Democratic Party. He’s been recognized as one of the Top 100 African-American Leaders in America by the U.S. Black Chamber of Commerce, one of Maryland’s Top 100 Minority Business Enterprises and Maryland’s 25 CEOs You Need to Know.